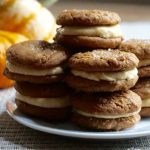 I fell in love with these Pumpkin Creme Cookie Sandwiches from a catalog picture. It was a few years ago in a Williams Sonoma Thanksgiving issue. I drove straight to the store to purchase the special pumpkin butter that the recipe called for and made my first batch. Since then my pantry always has a few jars of it. Several hundred cookies later, these are still my all time favorite fall cookies. 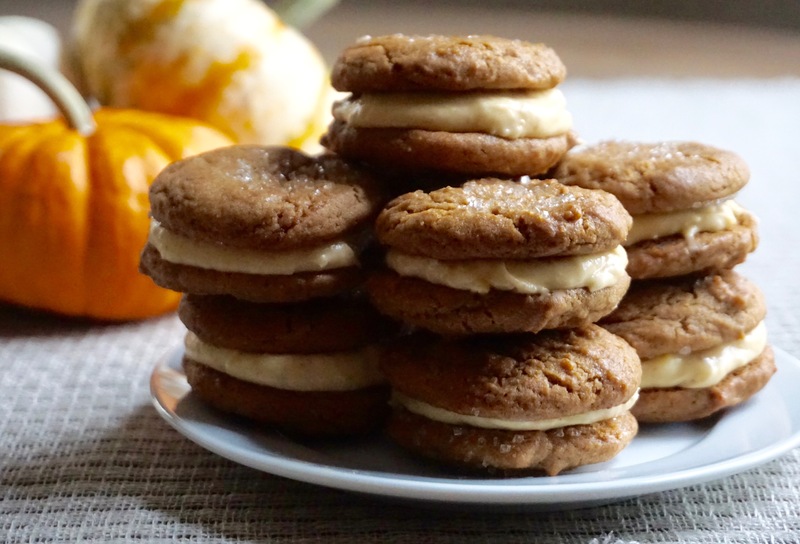 Molasses cookies and pumpkin creme are the perfect match. I have slightly changed the original recipe by reducing the butter and increasing the creme cheese in the creme filling. 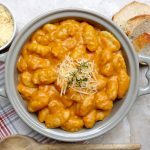 In a bowl, with an electric mixer, beat the butter and brown sugar until creamy on medium speed. Add the egg and molasses and beat until smooth. 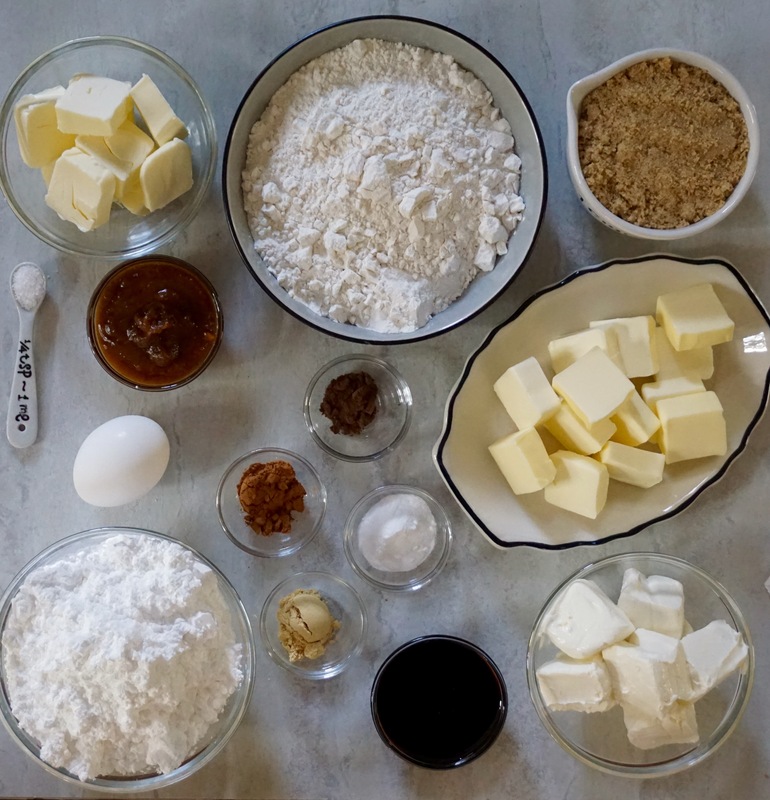 In another bowl, stir together the flour, baking soda, salt, ginger, cinnamon, and allspice. Reduce the mixer speed to low and add the flour mixture to the butter mixture. Beat until blended. 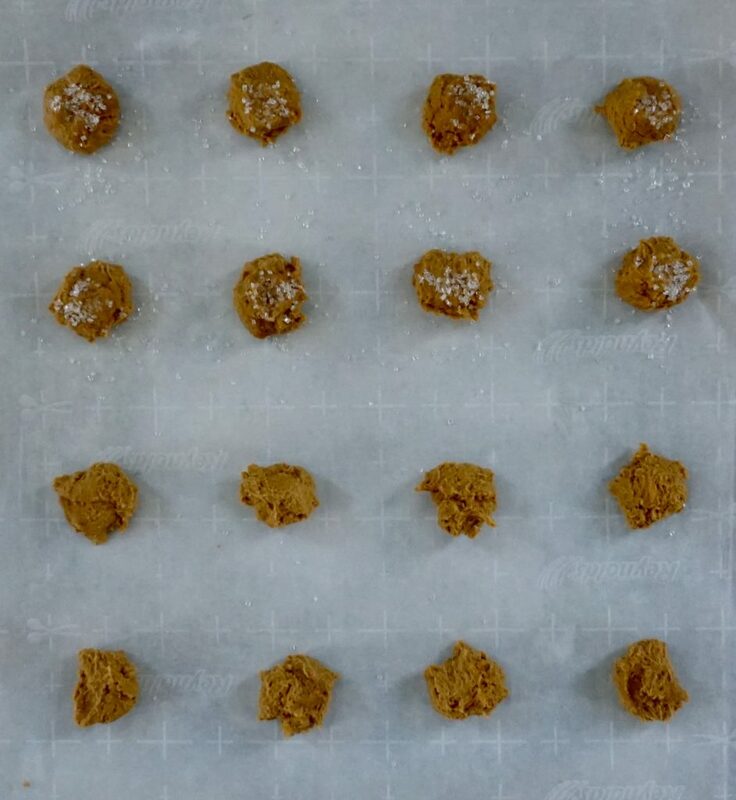 Drop level tablespoons of the dough onto the lined cookie sheets. If you want to have sugar on the tops of the cookies, sprinkle on one half of your cookies. 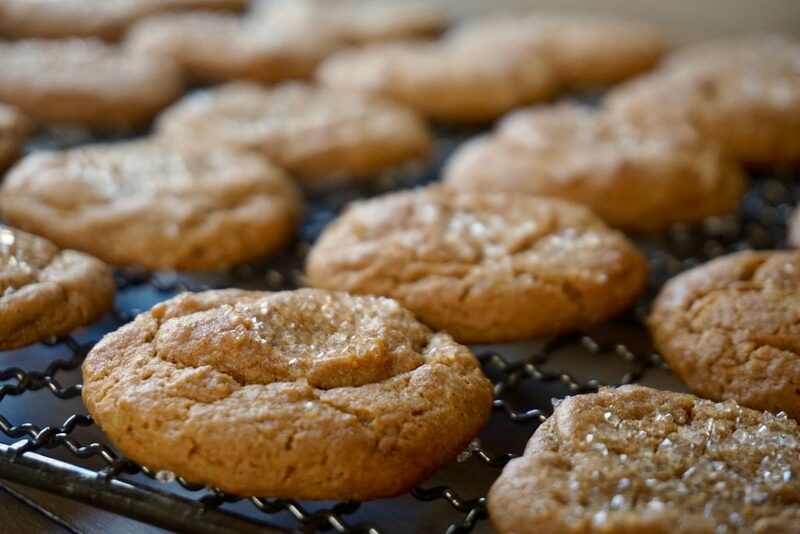 Bake until the cookies are browned and firm to the touch, about 10 minutes. Let the cookies cool on the baking sheet for 5 minutes then transfer to a wire rack to cool completely. Beat the cream cheese in a bowl with an electric mixer on medium speed until smooth and fluffy. 2 to 3 minutes. Add the butter and beat 2 to 3 minutes until fluffy. Add the pumpkin butter and confectionary sugar. Beat until the mixture is smooth with no visible lumps of sugar, about 1 minute. To assemble, place half of the cookies bottom side up. Spread the frosting evenly on the cookies. Top with the remaining cookies,(sugared tops) bottom side down. 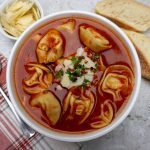 Let set at room temperature before serving. 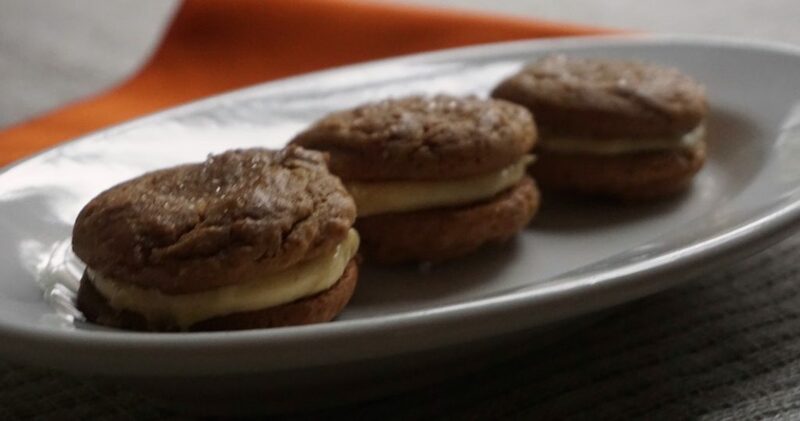 I store these cookies in the refrigerator as they contain cream cheese.